We’ve wrapped up our 10th Client Conference in our backyard here in Fort Collins, CO. A huge thank you to all that attended! 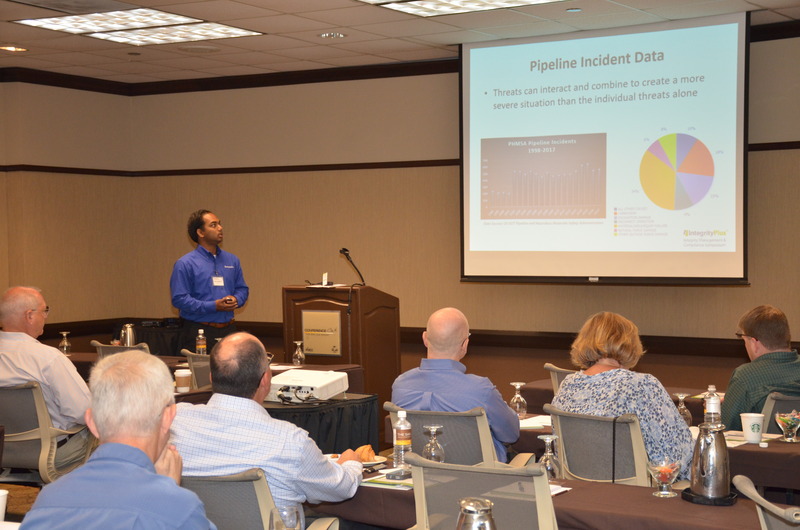 We've wrapped up another great Integrity Management & Compliance Symposium down in Galveston, TX. We're going into 2018 strong with enhanced product releases, hosted events, and trainings/workshops! Take a look at just a few of the great things we have in store for the year. We’re going international! We are taking a trip up North to host our first-ever Integrity Plus Calgary Workshop! Pipeline operators and business partners are invited to our free event on March 22nd from 8am-5pm at the Calgary Marriott Downtown! dive into risk management and data management, but you might be asking what makes our workshop stand out from the rest. 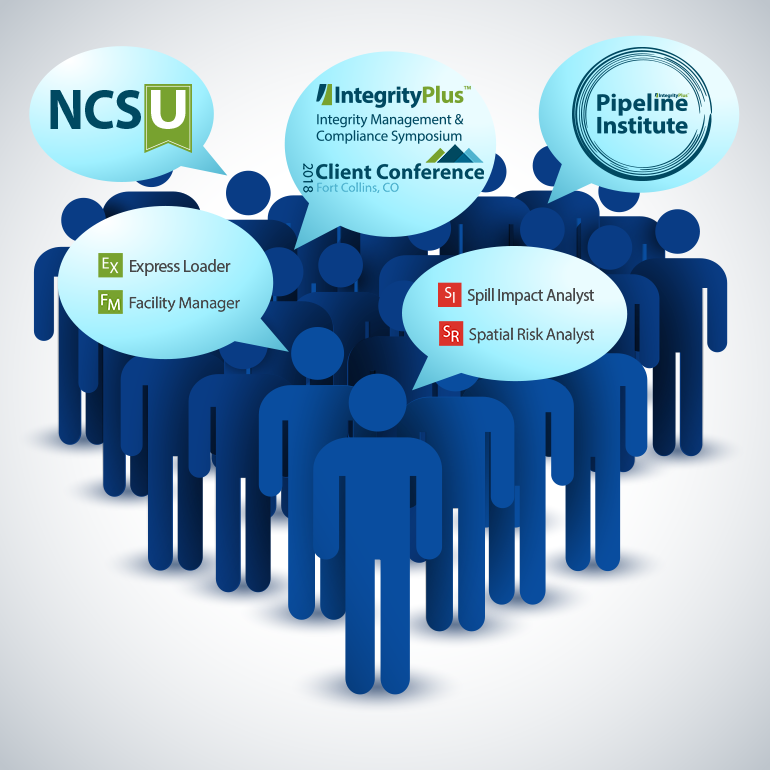 It’s going to be a busy year at New Century and Integrity Plus, full of product releases, hosted events, and trainings/workshops! Take a look at just a few of the great things we have in store for the year. The end of the year is starting to creep up on us (where did all the time go! ), and we wanted to share what we have coming up for fall. 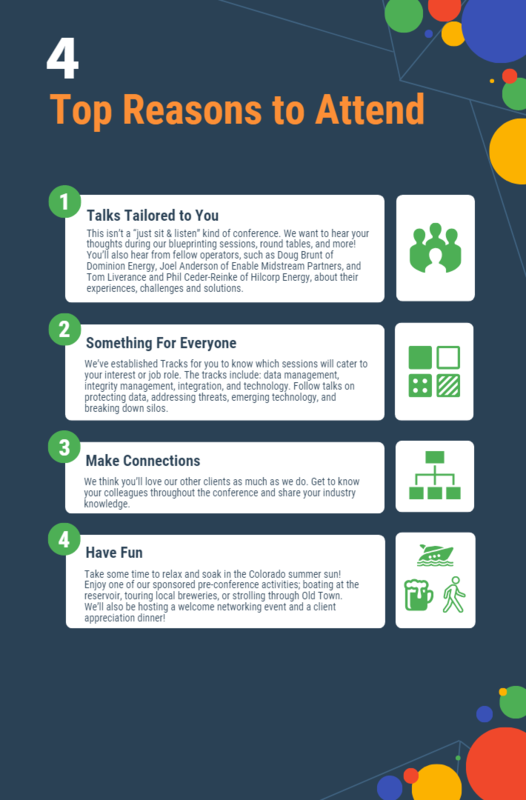 Next week, we’re hosting our first-ever Client Conference Backyard Series in Denver, CO. We’re taking the client event experience we’ve become known for and breaking it up into three separate one-day pipeline GIS-fests in Denver, Houston and Oklahoma City. Why? Because in 2016, we want to do everything in our power to better serve our customers. So, instead of having you come to us … we’re coming to you! If you haven't heard, we recently announced the dates (May 3-4, 2016) for Integrity Plus's Integrity Management & Compliance Symposium in Galveston, TX. We are excited about the new ways we are reaching out to all of our customers this year and want you to join us for all the fun! The New Year is here and New Century and Integrity Plus are in full swing! 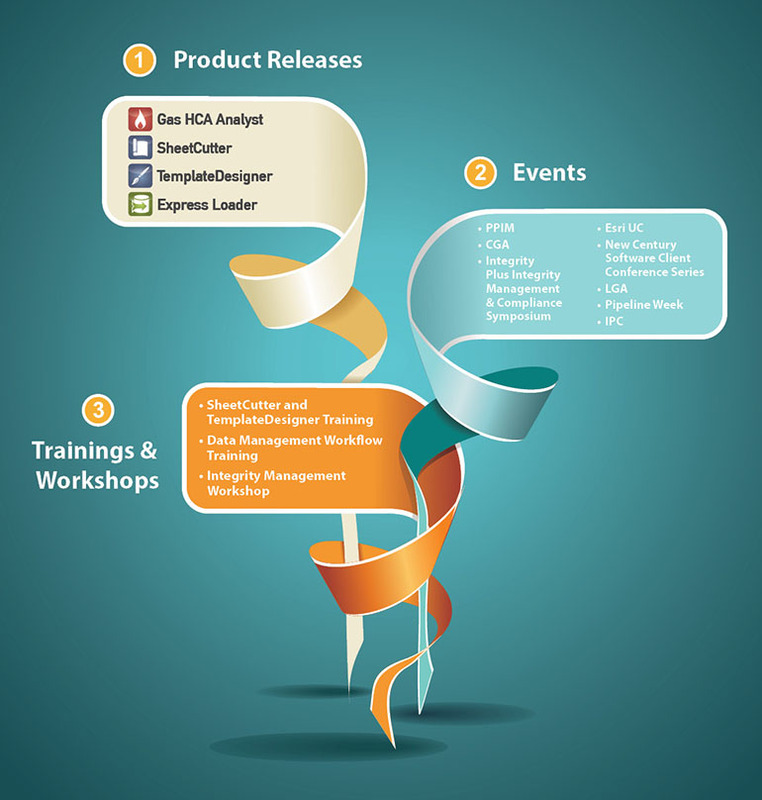 We thought we’d fill you in on some events, product releases, and trainings/workshops planned for the 2016 year. Be sure to check back to the blog for dates and further information about each as it becomes available.